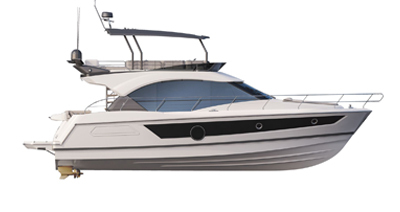 As mentioned earlier our test review yacht had some special features, so I was looking forward to gauging how different the First Line 46.1 would be to a ‘normal’ cruising yacht. A taller rig but reduced boom length provides 28 per cent extra sail area over the standard Cruising version of the Oceanis. The new owner used North Sails to provide his driving force and opted for the standard method of dropping the mainsail as opposed to the mast furling main that is standard. The Oceanis bimini is also removed from this version, which enhances the low profile sleek deck look and allows greater control of the mainsail via the German sheeting system.